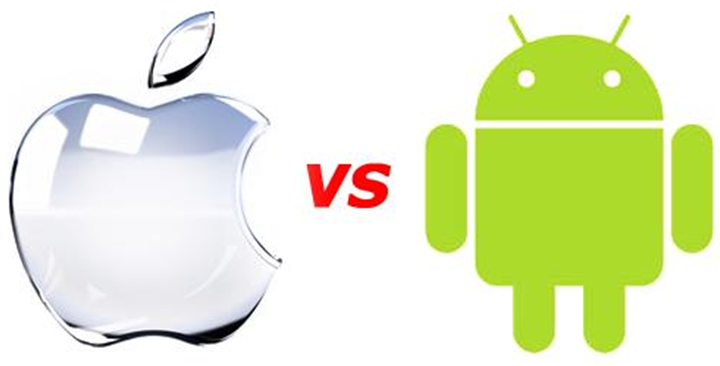 Home os Android vs iOS – Which Is Better? There is no simple answer to this question. Both Android and iOS have their perks. Depending on what features matter most to you, either can be considered the better operating system. Each offers features that are specific to the brand, an example being certain apps. You definitely won’t find iMovie available on the Google Play Store, nor will you find AirDroid in the Apple App Store. At the same time, you will never see iOS available on any other smartphone than the iPhone, whereas Android is available on a variety of different smartphones, all offering different specifications. The iPhone is the iPhone and that’s that. Not saying that this makes Android superior to iOS, but Android offers a variety of phone options, which is something you will never see with iOS. Taking a look at the pros and cons of each operating system, here is some information on what each have to offer. Android gets 5 stars when it comes to customization because it allows you to customize almost everything. One of the main customization features that stands out is the ability to set up multiple user profiles. With this feature, you can share your device with your family, even implementing age restrictions to prevent your children from viewing adult content. You can also place widgets on your home screen, unlike on iOS, where the widgets are tied exclusively to the Notification Center. This makes it a bit more appealing if you’re big on personalizing your device. Being that Google’s apps are built into every Android by default, you can easily pull up Gmail, Google+, YouTube, Google Maps, or even a Google search. With the Google App widget, all you need to do is say “Ok Google” and a search box will pop up, waiting to hear what you’re looking for. The search then runs automatically after it has detected your voice. As I mentioned earlier, certain apps are exclusive to Android. 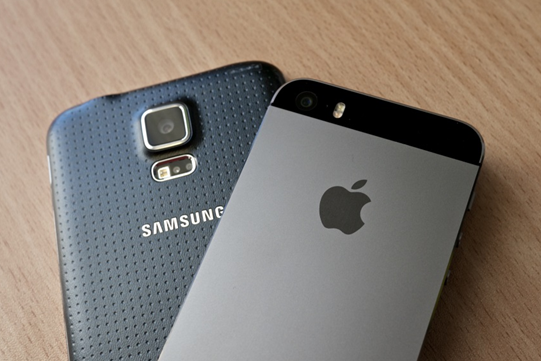 The good news is that the most popular apps tend to be available on both Android and iOS. You won’t have to worry about missing out on Candy Crush Saga, Clash of Clans, WhatsApp, Kik, or Angry Birds, no matter which operating system you choose. I’ll admit that iOS’s Siri takes the cake when it comes to performing hands-free tasks for you, but at least Android has an app that can handle similar tasks; Google Now offers around the clock assistance, performs hands-free tasks, and organizes information into small cards that appear on your phone whenever they’re needed. It works by predicting information you may want to see, based on your app activity, location, and search habits. The problem with Google Now is that, compared to Siri, it seems much more like a tracking device, rather than a personal assistant. It’s still a useful app, but if personal assistance happens to be one of the main features you’re interested in, you may prefer to use iOS over Android. Here’s where Android runs superior to iOS; it’s offered on a variety of different smartphones which means a variety of options when it comes to the specs. For example, you may be someone who doesn’t need the option of a fancy camera, but values storage space. In that case, you may want to choose a phone with more RAM, compared to a phone with a higher megapixel camera. Android gives you this option, whereas iOS doesn’t because it is exclusive to the iPhone. The current iPhone (iPhone 6 Plus) has a display resolution of 1920×1080 pixels, which isn’t quite as HD as the 1440 x 2560 pixel resolution of the Samsung Galaxy S6 Edge. On top of that, the iPhone 6 Plus has a mere 8 megapixel camera, with a 1.2 megapixel front facing camera. In comparison, the Samsung Galaxy S6 Edge is a sure winner; its main camera offers a whopping 16 MP, with 5 MP on the front facing camera. To get an idea of the difference between an 8 MP camera and a 16 MP camera, 16 MP is on par with the average point and shoot digital camera available on the market today. As for the resolution display, the average HD TV has a display resolution of 1920 x 1080p, meaning that the Samsung Galaxy S6 Edge has a better resolution than most peoples’ TVs. 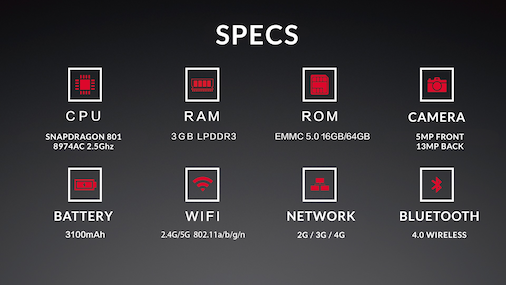 Another advantage that it has over the iPhone 6 Plus is that is contains more RAM. The iPhone 6 Plus only contains 1GB of RAM and the Samsung Galaxy S6 Edge has 3GB. Why is RAM important, you may ask? RAM is responsible for allowing your device to get more work done at the same time, which will make your apps run more efficiently. While it doesn’t necessarily affect the speed of your phone, it does help with performance. Android is the winner when it comes to customization, but that doesn’t mean that iOS doesn’t offer any customization features. Apps can still be arranged on the home screen and widgets are available, though they cannot be placed outside of the Notification Center. If you’re looking to customize iOS, there are plenty of useful apps available to that end. iOS provides an easier environment to develop apps, so they tend to be released on iOS far sooner than on Android; you can sometimes have apps available to you months before any Android users are able to download them. 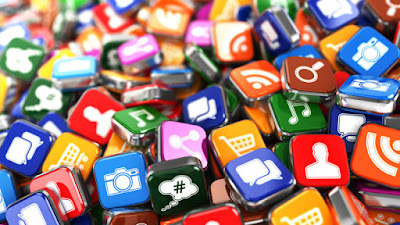 Like Android, iOS also offers apps that are exclusive to their operating system, though it is rumored that the Google Play Store offers more free apps than the Apple App Store. This makes sense if you take into account that the Google Play Store contains more apps overall. The main claim against Android apps (as opposed to iOS apps) is that they do not typically run as well, due to iOS being more diligent when it comes to testing and monitoring the apps that are released into their app store. This is great news for those with iOS, as it isn’t uncommon for Android users to get frustrated with apps that have not been maintained. Whichever you choose, be sure to keep your device protected with a VPN service. A VPN (Virtual Private Network) service will ensure that your information is secure by allowing you to browse the web anonymously. Rather than connecting directly to the internet, your connection is instead routed through an encrypted “tunnel” that protects your information and prevents hackers and websites from knowing who or where you are connecting from. Hackers will only see a mess of scrambled data and none of it will be useful. And, yes, both types of phones are vulnerable to being hacked. Not all VPN companies work with iOS, but ExpressVPN does very well. This way you’ll be able to update your Facebook status, or even shop online, with total peace of mind. iOS’ main appeal is likely its personal assistant, Siri. From finding local restaurants, sending texts, customizing your iTunes Radio experience, or figuring out the titles of your favorite songs, you might find yourself asking if there is anything Siri can’t do. For those days when you’re feeling particularly poetic, she can even read you a Haiku! Though there are Android phones that offer better specs, iOS offers the same high quality that you see in other Apple products. Their specs are not awful by any means, but they do leave some things to be desired. Despite their current camera having half the megapixels of the Samsung Galaxy S6 Edge, it somehow takes amazing pics, most likely because of Apple’s iSight technology. It really depends on what you’re interested in. If customization is your thing, choose Android…but remember, Siri won’t come along for the ride. Scrambled data and none of it will be useful. This way you’ll be able to update your Facebook status, or even shop online, with total peace of mind. This article was contributed by Secure Thoughts writer Isa Cox. Isa specializes in information on smartphone security and VPNs.